We got our first snow of the new year on Saturday. This is always a little bittersweet for me. Although I love how it looks, it always seems to emphasize how far away spring really is. I went back through my photo archives to pull out some pretty pink images, and have gathered them here for you. The mosaic is made from a web board which can be found on The CoffeeShop Blog, here. If you use Photoshop, this is a great resource. 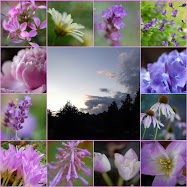 I placed my images, and then changed the color of the frames to better match my blog colors. These are such soft, sweet pinks Mary. A very welcome sight on a rather gray day! Mary! your winter pinks are a sight for sore eyes! I like the format you used for your collage; thanks for sharing the source. There is an elegance to the overall look and the soft colours are soothing on a winter's night. Hi Mary, I love your winter pinks. I am longing for spring and to see some flowers in my yard. We are finally getting some "winter" weather too. Have a great week ahead. Beautiful pinks, Mary. Thanks for the link to The Coffee Shop blog. Stay warm and cozy! I love your beautiful pink mosiac! I need to experiment with photoshop instead of always just using picasso. We also received our first snow. My mind was on Spring, gardens, and chicken coops this weekend too. Such pretty pinks! Have a great week, Mary! Your mosaic is so beautiful, Mary. It's perfect for these January days that can get kind of gray. Pink is such a mood lifter. I love how you have these framed, Mary! I need to do some experimenting with my photos and mosaics. These are just lovely all framed nicely for us to view. I felt as if I were in an Art Gallery! Have a wonderful week, dear friend! I'd love to have your SNOW here on the Prairie! 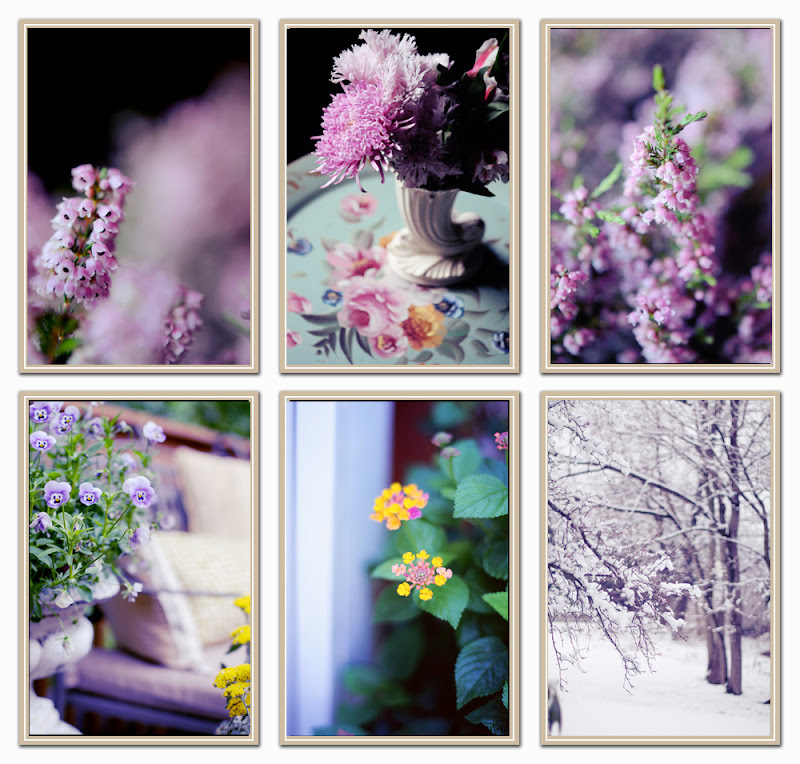 Spring will be here before you know it...Thanks for sharing these beautiful pink images. So good to see the color that is out there in the winter. Beautiful shots. What a lovely mosaic...soft colors and wonderful effects. Thank you for sharing your tips. Those pinks are beautiful. Loved the lantana in the mix. The Web Board is a good idea. I had seen them but just hadn't bothered to learn how to use them. You gave me the push to download and try it out. Maybe everyone will see my filled in web board next week! Your soft pinks are lovely. Have a good week. Wonderful colors and an amazing Mosaic. Great capture. So wistful and beautiful. Thank you so much for the link to the frames! Oh Mary I love your winter Pinks. I joined today. My photo's are not near as nice as yours but the subject is sweet. I hope you can come by. Off to visit the others.